Absolutely stunning! 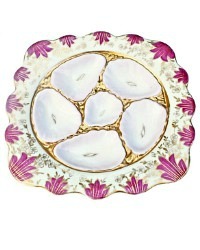 This decorative hand painted Antique Oyster Plate features bright Pink detailing around the scalloped rim, gorgeous colors. Made by Fischer & Mieg, Bohemia, in the mid to late 1800's. The wells are hand painted Pink, surrounded by brightest gilt gold. 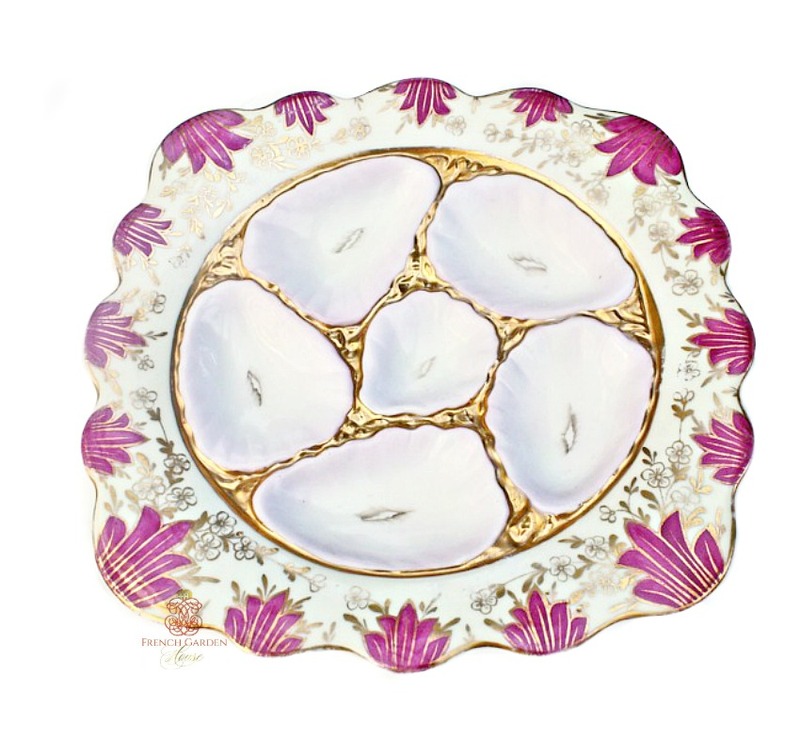 This porcelain plate was painted with a Chinoiserie design so admired in the 1800's. Marked with incised numbers 2212 and 37. 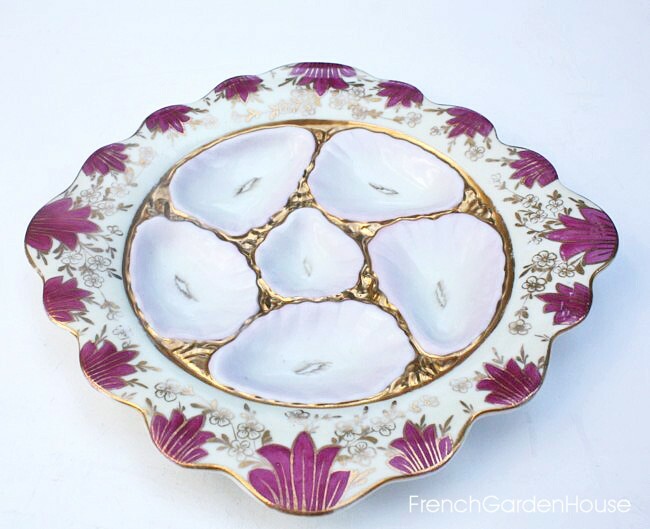 This will undoubtably make your oysters jealous if they are not nestled on this stunning plate but have to make do with a lesser one. Of note: a small area of color loss on one scallop, pls. see the close up photograph with the arrow. 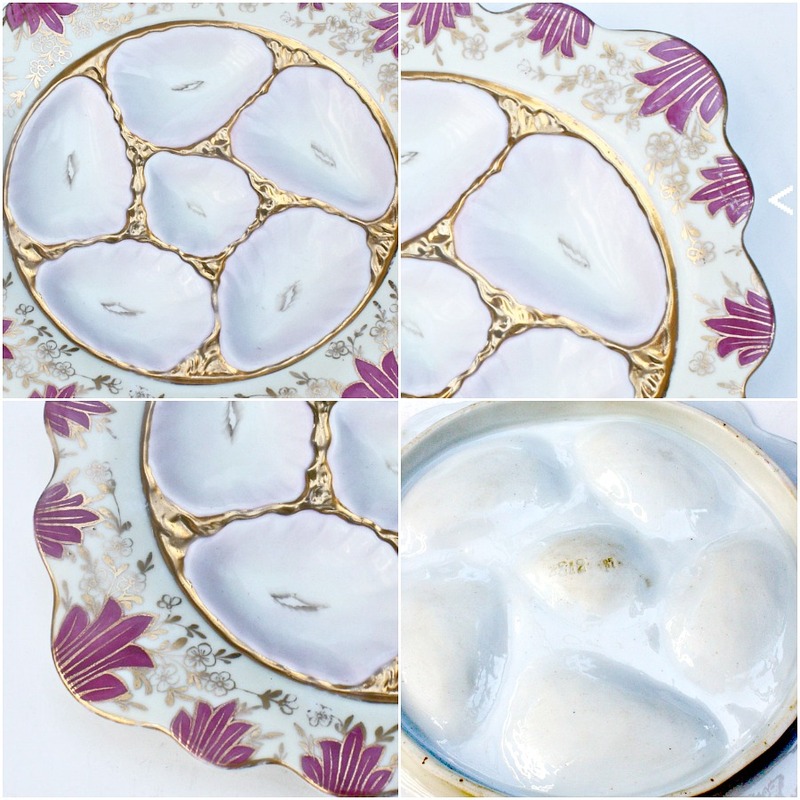 A rare and bright server to display with your antique oyster plate collection.